So there's this thing called the iPad. It happened and people liked it, so people bought it. Other companies saw people buying it and thought "gee, it would be great if people would buy stuff from us too!" That is exactly how it happened! So now, here we are, a bit over a year after the first iPad's unveiling and (if rumor is to be believed) a matter of days before the second iPad's unveiling, and we're just about to be drenched in the first wave of Google Android tablets. 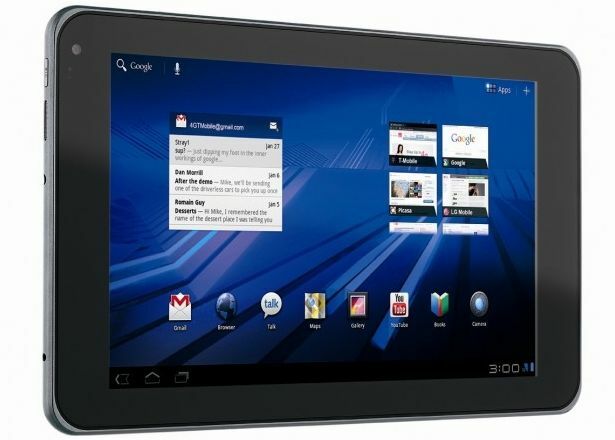 Leading that charge is the Motorola Xoom. There are a few Android tablets out there already, but the Xoom is the first to run Android 3.0 (codenamed Honeycomb), which is Google's first version of Android designed specifically with tablets in mind, and it's going to become more and more common as the year goes on. Full disclosure: I have barely ever used any product running any version of Android for anything ever. That wasn't a decision based on dislike of the platform or anything - I was just in the market for a smartphone in September of 2009, and Android really wasn't at the time. In the intervening time, my desire to play around on something running Android was hampered by the fact that (1) most Android devices are phones and I already had one, and (2) many non-phone Android devices are running an Android version so modified that experience on those devices would barely apply to other Android devices. So maybe I've just discredited myself and maybe I'm not the most qualified person in the world to be talking up Android, but I am fairly well-acquainted with the competition and I can do my best to give you a comparative analysis. The Xoom is an impressive looking piece of hardware. It's got a nice 10" widescreen display, front and rear-facing high-definition cameras, 32GB of storage, and speedy innards. It will feature 3G connectivity at launch, with a 4G option to follow soon after. The widescreen aspect ratio along with the display's higher resolution should make it a bit better for movie watching and general computing than the iPad, and it ain't too hard on the eyes, neither. The Xoom is only sort of competitive in terms of pricing - it's $599.99 with a two-year Verizon contract and $799.99 without (the 32GB 3G iPad sells for $729.99 with no contract, and a 16GB model goes for $629.99). Missing in action, however, is the wi-fi only model that would truly allow the Xoom to go toe-to-toe with the iPad. No one seems quite sure where this model is - most blame Verizon - but it would help the Xoom immensely to have competitive products available at all the iPad's price points. 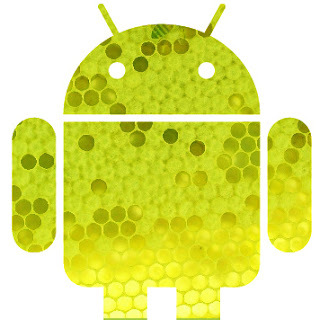 Android 3.0 dresses to impress: where the iPad basically took the iPhone's operating system and tweaked it for use on a larger screen, Honeycomb does more to use that larger screen's more generous real-estate at all times. Instead of navigating through the nightmare of nested menus that iOS can be, shortcut buttons and menus exist all over Honeycomb to help users get where they want to get in the fastest way possible. Animations are smooth, the look and feel of the built-in apps is consistent, and on decent hardware it should give the iOS experience a run for its money. While Honeycomb's interface is internally consistent, though, there are a lot of things it doesn't share with the phone version of Android. Apple's decision to make iOS work and look basically the same on the iPad as it already did on the iPhone and iPod has led to criticism that the tablet is just a giant iPod, but on the other hand it made picking up and using the tablet pretty simple for anyone who was already used to the smaller products. Android 3.0's new interface may be better suited for a tablet, but existing Android customers coming from a phone may have a bit of learning to do to get used to the new interface. My problems with the Android platform as a whole apply to tablets as well: Google updates the platform regularly, but has to rely on individual manufacturers to make those updates and their benefits available to customers. Android is much more customizable than iOS, but that means different tablets may look and act differently and have different functionality despite running the "same" operating system. Tablets running Android can run vastly different hardware from one another, but that means that apps and games may not run on every tablet out there. These issues can be downplayed by some careful research and purchasing, but such research is generally going to be out of Joe Tablet's depth. There you have it - a brief analysis of everything I've read about the Xoom and Android 3.0. If you're on the fence about buying one of these, I'd absolutely tell you to wait a few months if you possibly can - we'll learn more about the next iPad very soon, and it won't be long before more Android competition comes in and offers a diverse array of tablets at a diverse array of prices. Whatever platform you choose, you only stand to gain by biding your time, at least until the summer.